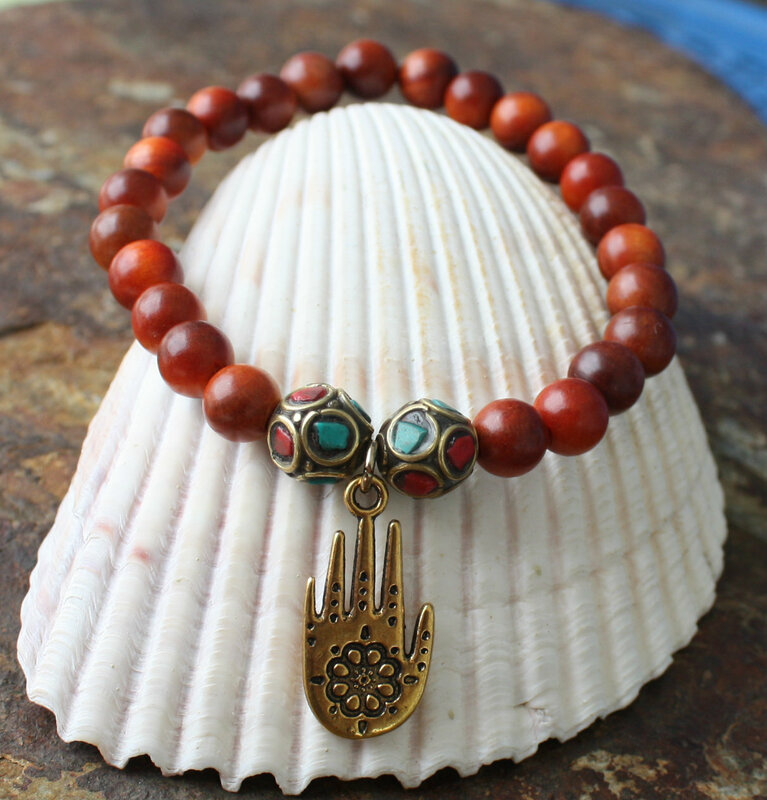 Beautiful sandalwood beads are accented with gold turquoise inlay beads and a gold-tone Hamsa, also known as the Hand of Fatima. 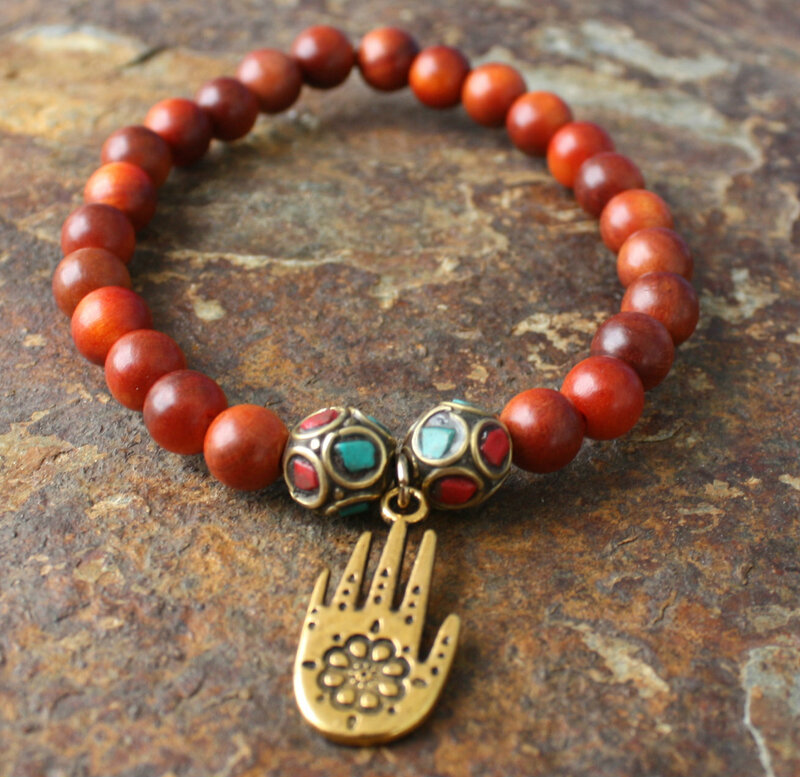 The Hamsa is also believed to bring luck, happiness and good fortune. 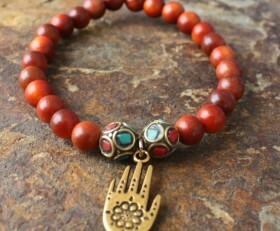 It will also make you look very stylish.